Mermaids are real at Sunway Lagoon this coming school holidays! 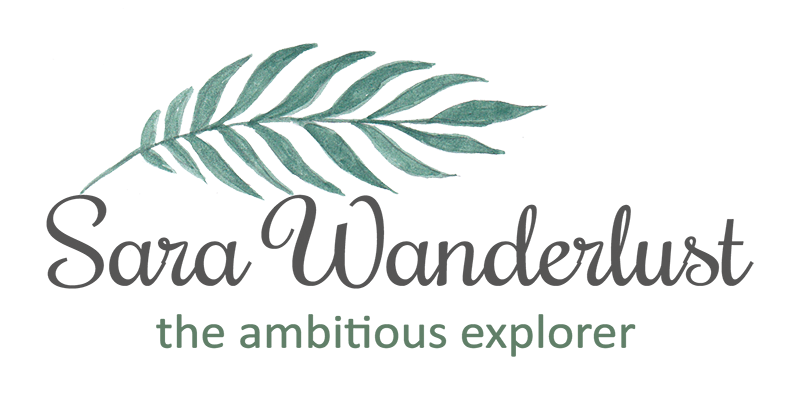 Okay you guys, I am SO INCREDIBLY EXCITED to share my childhood dreams coming into reality to you. Well, okay, its not entirely real, but a little imagination helps. If you've known me well enough, I'd consider myself a princessy girl with princessy dreams (Only till reality hits you right in the head!) haha. But life as it is, there is no harm to imagine the impossible. After all, that's how Bill Gates found the internet that we're all browsing through today. Watch out for Pirates as they are attracted to Mermaids too! 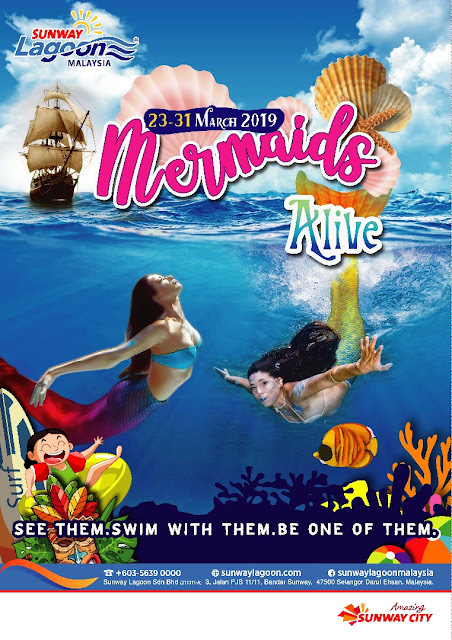 This coming 23rd to 31st of March 2019, Sunway Lagoon is bringing you the legendary half-human, half marine creatures to live as they welcome the upcoming school holidays by presenting to you Sunway Lagoons Waves of Fun programme with Mermaids Alive! Have you ever wondered what it takes to be a mermaid? Well, now you can look forward to meet & greet mermaids, have a mermaids makeover, and even swim with the mermaids! Stumbled upon this and it tasted AH-MAZING! Did i only mention that it tasted amazing? It looks good too! Moving on, you can also be excited to collect exclusive mermaid merchandise such as a mermaid keychain, mermaid t-shirts, mermaid's tail pool floats and so much more! Not to forget that you might get yourself excited to quench your thirst with am Oceanie Slushie mermaid-themed beverage from Chill Lah! Literally, it was one of the best tasting slushies I've ever tasted! Or if youre more of an ice cream person, you can head on over to the MER-licious Ice Cream Treat from I Scoop 4 U Ice Cream parlor just around the corner of the beach. OH! Be a mermaid while youre there and swim with finns! OH! The fun doesn't end there! There will also be some on-ground activities for you to enjoy where you'll stand a chance to win RM30 worth of cash vouchers from GEM Studio, RM20 Cash Vouchers from Havanians and 50% off voucher on Mermaid swim course. So, if you happen to be at Sunway Lagoon between the 23rd to 31st of March, don't be shy to participate in their activities, cause who knows, you might be able to make your daughters dream come true! Not to forget that you might enjoy the attention too when people see a mermaid on the beach. A personal favorite activity of mine would be to be given the chance to be a mermaid on the beach. They will do both your mermaid makeup and give you a fin to flip around the beach where you'll definitely start attracting attention by 'humans'. Hehe. It would be a great memorable experience to experience being a mermaid for both kids and adults! But I'll warn you, it may be a little challenging to move around without feet as water would be your best friend when you're with fins. Was also lucky enough to spot Spongbob and Patrick in Pirate outfits! And if your kids are fans of Meet & Freet sessions by their favorite mascots, there will be Clown Walkabout Characters, Captain Quack & Lady Quack, SpongeBob and Patrick in Pirates overlay, Teenage Mutant Ninja Turtles (TMNT), Dora the Explorer and her best friend Boots who will be making special appearances for photo opportunities that are not to be missed! PSST, for families out there, you can enjoy Sunway Lagoon's FAM Fun Package or 4 to GO package which gives you better savings.